Copyright concerning our website as well as all text, photographs, illustrations and other copyrightable contents displayed on this Site (hereinafter collectively referred to as "Contents") shall lie with KOTO and/or the provider of such Contents. Excluding the extent of quotation and reproduction for private use that is approved in the Copyright Act, without the consent of the party owning the copyright, the reproduction, adaptation or public transmission of copyrighted material is prohibited. 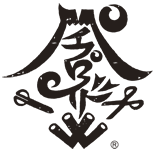 The trademarks, logos, and service marks not owned by KOTO and that are displayed on this Site are the registered and unregistered marks of their respective owners. No rights are granted by KOTO to use such marks, whether by implication, estoppel, or otherwise. Koto may alter all or part of the information on this Site without prior notice. Furthermore, Koto may suspend or halt operation of this Site. Information on this Site has been carefully prepared and managed; however, Koto does not guarantee the accuracy, usefulness, completeness, etc. of that information. Koto bears no responsibility for any damages incurred from use of that information or from inability to use that information. Links to this Site, whether commercial or non-commercial, are permitted without contacting Koto in advance. However, please refrain from setting links that apply or may apply to the following. Although this Site can be accessed from countries around the world with differing laws, you and Koto both agree that the use of this Site is governed by and construed in accordance with the laws and ordinances of Japan and the regulations, rules, etc. of the city of Kyoto. Unless stipulated otherwise, the Kyoto District Court in Kyoto, Japan shall have the exclusive jurisdiction of the first trial for all disputes in connection with all controversies and disputes arising out of or relating to the use of this Site. In order for you to enjoy using this Site more comfortably, the following environment is recommended.